We're going to investigate the many composers that contribute to the series during the five seasons (1972-1977). QM music head John Elizalde keeps his status of music supervisor and, as composer Pat Williams, write scores season after season. The season theme music is different from the pilot mainly because of a standard use of the electric guitar and the less prominent Afro-Cuban percussions. The creator of the series theme Pat Williams dominates the season with six scores. His pilot and “The Thirty-Year Pin” scores will be partly derived in a Mannix score entitled “One Step to Midnight”. Composer William Mitchell ‘Billy’ Byers is first a jazz trombonist, an arranger and an orchestrator. QM Music department head John Elizalde writes one score. French composer Michel Mention is first an arranger and then becomes the assistant of Maurice Jarre from the 1980’s. John Carl Parker works mostly for CBS (see The Wild Wild West, Gunsmoke), MGM (see Medical Center, Assignment: Vienna) and QM (see Cannon, Barnaby Jones). Robert Prince is known for a film (You’re a Big Boy Now) by Francis Ford Coppola, three popular series at CBS (see The Wild Wild West, Mission: Impossible and Mannix) and as part of Universal television home composers during the 1970’s (see Rod Serling’s Night Gallery, The Name of the Game, Cool Breeze, The Sixth Sense, Banacek, Circle of Fear, Ironside). Son of composer Nathan Scott, musician Thomas Wright Scott originally belongs to the jazz fusion crowd as a saxophonist and a band leader for the L.A. Express, gives a single score (Conquest of the Planet of the Apes) for the saga of Planet of the Apes and writes for many cop series as Baretta and Starsky & Hutch. 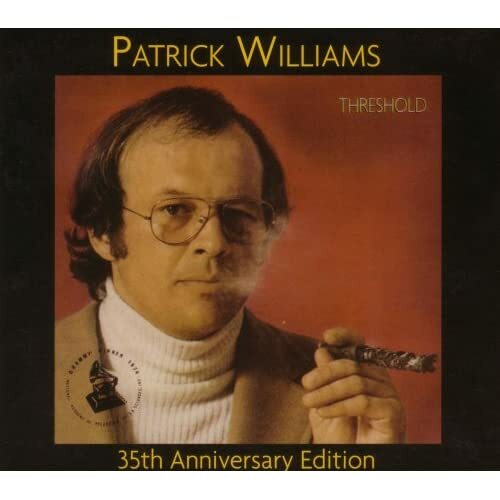 Pat Williams used to release an album entitled "Threshold" (1973) along with Billy Byers and Tom Scott that's why they're part of the series. The total amount of scores is 13 with 7 composers. This is the most varied season of all. The season theme music is hardly re-orchestrated. The amount of original scores severely drops and Pat Williams only writes a single score and tames his hard edge street funk leaning. A new composer pops up into the series: Richard Markowitz, former creator of the theme music from The Wild Wild West and also works for CBS series (see Mission: Impossible and Mannix) and QM (see The Invaders, The FBI). Musician Duane Tatro belongs to the 1950’s jazz crowd as a tenor sax and as an arranger—he used to play with Stan Kenton and collaborate with Lennie Niehaus—, work exclusively for QM Productions but nevertheless gives scores for CBS (see Mission: Impossible and Mannix) and his “Before I Die” score will be re-recorded in the next seasons. The total amount of scores is 6 with 4 composers. The season theme music is frankly re-orchestrated because the first notes are faster with a dominant drum, the electric guitar is hardly heard and the brass section is slower. Composer Billy Byers returns after one season of absence. Composer John Elizalde’s single score entitled “Target: Red” will be re-recorded in the next seasons. The total amount of scores is 5 with 4 composers. The season theme music is frankly re-orchestrated, plays faster than previously and the brass section is used differently. A brand new composer enters the series: George Romanis, a regular from Bruce Geller series as Mission: Impossible and Mannix. John Parker comes back after two seasons of absence. The total amount of scores is 6 with 6 composers. The season theme music is entirely re-orchestrated and dressed by an electric harpsichord replacing the electric piano and the wah wah electric guitar is almost substituted by a drum. Pat Williams receives an onscreen credit for a two-parter (“The Thrill Killers”) with his full name. Two newcomers step into the series: Robert Drasnin, a regular from 1960’s spy series (see The Man from U.N.C.L.E., The Wild Wild West, I Spy, Mission: Impossible) and John Peter Smalley. The total amount of scores is 6 with 5 composers. Thanks for another interesting and helpful blog. Some not so familiar names in the guest composer credits but I'm actually surprised to find only so few scores by Pat Williams there! Thanks for another interesting and helpful blog. Some not so familiar names in the guest composer credits but I'm actually surprised to find only so few scores by Pat Willams there! So was I. In fact, I was surprised to see how much music was tracked in across the series. I've only got the first two seasons on DVD and it was obvious even then. "Yes, I did score that, we scored many episodes. The show ran for, as I recall, six years, it might have been seven years. I can't remember exactly but I do remember that we scored many episodes of it. There were some cues that were tracked but not too many, and I scored almost all the episodes." I'd imagine he's a bit hazy about it after the passage of time - I know I would be too. Pat Williams used to smoke too much. Just watch the cover of "Threshold" (1973). I once had a compose rtell me he scored x number of episodes of a series, but it turned out only half that were credited. He was going by royalty checks, as I recall, so he had assumed he scored the number of episodes he was being paid for. Maybe there's something similar going on with Williams and TSoSF. Or maybe, this is pure speculaton: he, for AFM reasons, had to re-record cues from earlier in the series, for use later on. He talks about that cover in an interview somewhere on YouTube. He told the photographer that he didn't want a 'pompous' cover and that he wanted Threshold to speak for itself and be "what it is", rather than be seen as some sort of big jazz/classical experiment and he wanted to present a cover that had "an element of risk"....something out of the ordinary. The cigar with the long ash is what the photographer came up with. The effect was achieved by having a long wire all the way through the thing, which kept it together! There's even a track on the album entitled "Mr. Smoke"!